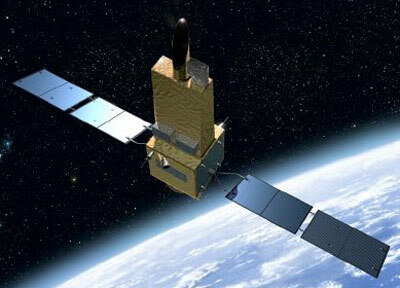 JAXA developed the small scientific satellite SPRINT-A (EXCEED or Hisaki) to design and verify the standard bus that can support a series of small scientific satellites. The SPRINT-A is a space telescope that remotely observes Venus, Mars, Jupiter and other planets from its earth orbit. By monitoring Venus, Mars, and Jupiter with extreme ultraviolet (EUV) rays, it will observe the plasma region defused from Jupiter I (Io) to study how energy is provided. It will also investigate the mechanism of how the atmosphere of some earth-type planets including Venus and Mars has escaped to space. The mission payload contains an EUV spectrometer, and a guiding camera which maintains the pointing accuracy of the mission. SPRINT-A/EXCEED employs a new standard and flexible satellite bus module developed for the series in JAXA. This mission replaces the cancelled TOPS satellite. It was launched on the maiden flight of the Epsilon launch vehicle.